A researcher in China’s Southern University of Science and Technology in Shenzhen, has claimed that he has created the world’s first gene-edited designer babies. The claim comes as a surprise, as the ethics and safety of this particular form of gene editing are still under debate. 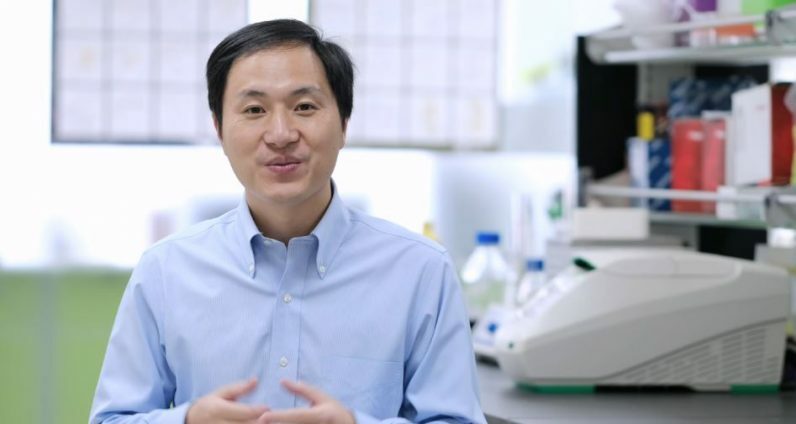 According to medical documents published earlier this month, a team led by Jiankui He had been recruiting couples to create the world’s first gene-edited babies with increased resilience to HIV. Using the relatively cheap and easily applicable gene-editing technique called CRISPR/Cas9, the team planned to eliminate the CCR5 gene in the embryos, which they hoped would make the babies more resistant to HIV, cholera, and smallpox. The CCR5 gene was chosen as it helps form a protein channel that allows HIV – the AIDS causing virus – to enter a cell. The published clinical trial documents also noted that the gene-editing procedure was used to modify the embryos before they were implanted into their respective mother’s uterus. Antonio Regalado of MIT Technology Review reported that the genetic tests were carried out on fetuses as late as 24 weeks, or six months. But it is not known if those pregnancies were terminated, were carried to term, or ongoing. However, He announced in a video released on his lab’s YouTube channel that two twin babies Lulu and Nana (names changed to protect identity) were born healthy a few weeks ago, after successful completion of the gene-editing process. However, even if true, it is questionable if the safety He claims is applicable in the long term. How safe is CRISPR/Cas9 gene-editing? In July 2018, a paper was published in the science journal Nature Biotechnology, cautioning the use of CRISPR/Cas9 technology for gene-editing. In the study, lab experiments using mouse and human cells revealed that the CRISPR/Cas9 technique “frequently” caused “extensive” gene mutations. It is important that anyone thinking of using this technology for gene therapy proceeds with caution and looks very carefully to check for harmful effects. Each gene in our genome has an “environment” determined by all the other genes. Genes “interact” in complex ways, only a few of which we understand. So changing ONE gene could modify the environment of some other gene. So what does the future of gene-editing look like? Until now, there has been no independent confirmation of He’s claim. Unless the complete results of the trial are published in a journal, and subject to peer-review, the success of the procedure, and the claimed safety of the process is questionable. And because this is an huge claim made, it definitely requires an extraordinary proof. The UK and the US, among other countries have already banned experimental gene-editing in human trials. This has led some experts to raise concern that the relative lack of regulations in China could turn it into a hub for medical tourism for gene-editing. You may want to follow news stories on gene-editing more closely as the future of humanity truly seems to rest on it. And if you are looking to understand the controversy surrounding gene-editing through an entertaining explainer, we recommend John Oliver’s Last Week Tonight episode on the same.